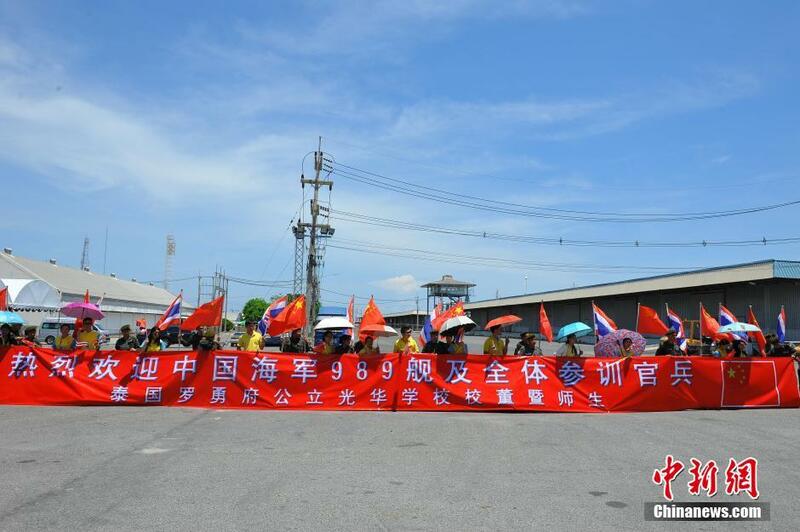 SATTAHIP, Thailand, May 20 (ChinaMil) -- The Chinese naval dock landing ship Changbaishan (Hull No. 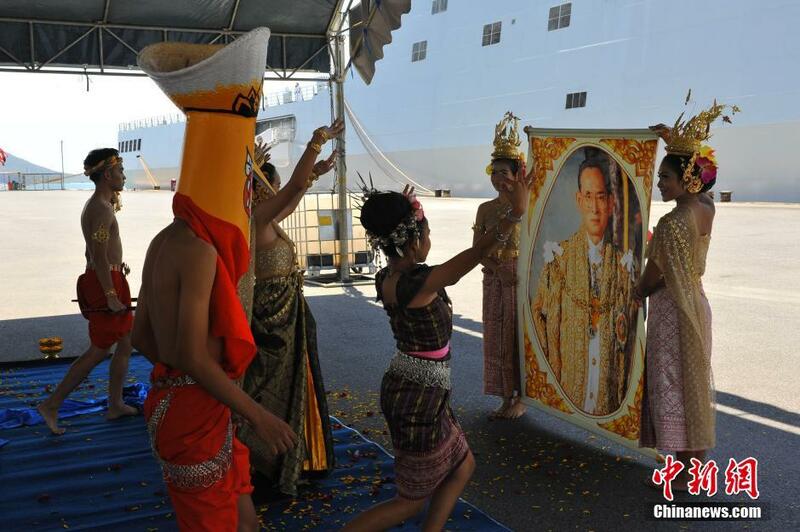 989) arrived at the Port of Sattahip of Thailand at 13:00 on the afternoon of May 19, local time. 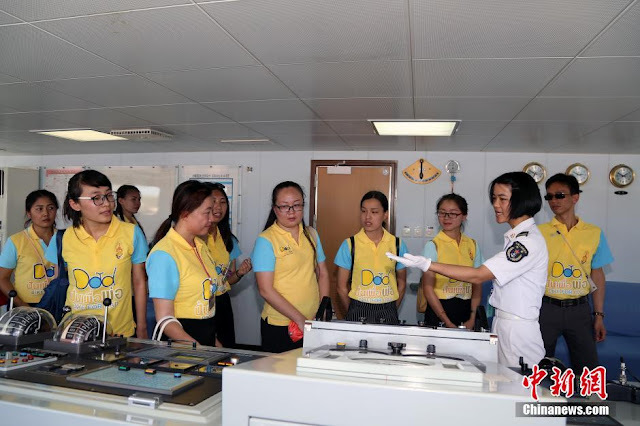 Onboard the ship were troops of the PLA Navy's Marine Corps to participate in the "Blue Strike 2016", a joint military training exercise to be conducted by Chinese and Thai marines from May 19 to June 10. 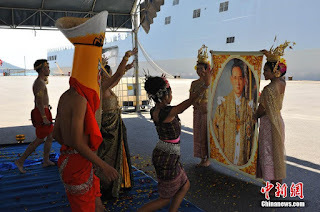 At the welcoming ceremony held at the dock for, Senior Capt. 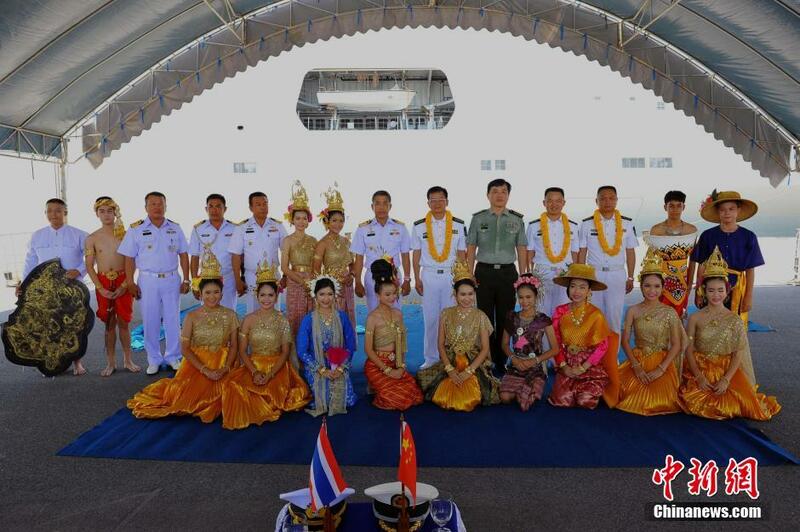 Suthipol Arnada, vice-division commander of Royal Thai Marine Corps, expressed warm welcome to Chinese marines and wished the joint training exercise a great success. 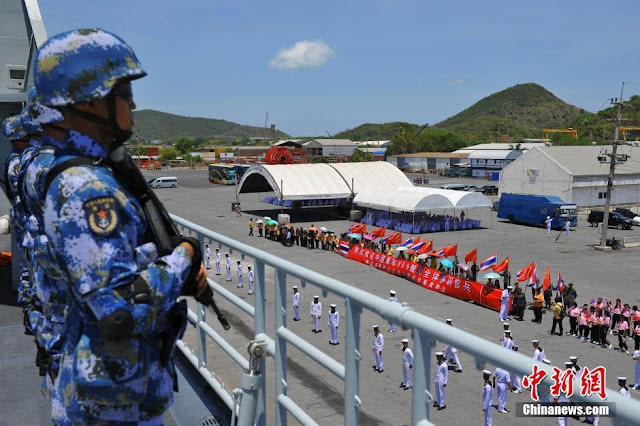 "Following the Blue Strike 2010 and Blue Strike 2012 joint training exercises, the Chinese naval troops once again came to Thailand to carry out joint training, aiming at further strengthening the friendly relations between the two countries and the two militaries, promoting in-depth exchange and cooperation between the two navies to jointly improve capacity of responding to non-traditional security threats and challenges," said Zeng Shenghai, commanding officer of the Chinese participating troops at the welcoming ceremony. The 266 Chinese marines participating in the Blue Strike 2016 came from a brigade of the PLA Marine Corps. They brought nine amphibious armored vehicles, air defense missile and anti-tank missile launchers, various types of light and heavy weapons as well as some amphibious equipment for reconnaissance, anti-terrorism and chemical defense purposes. 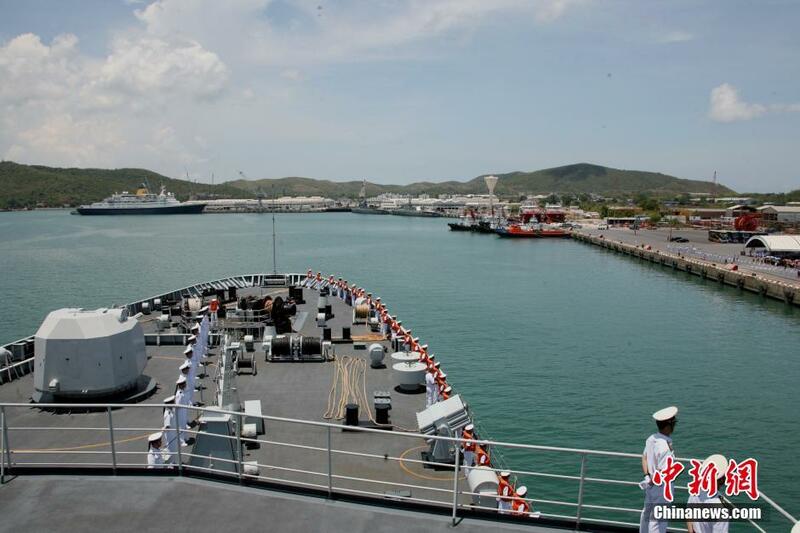 In addition to marines, the Chinese side for the first time has sent a warship and naval aviation troops to the joint training exercise. 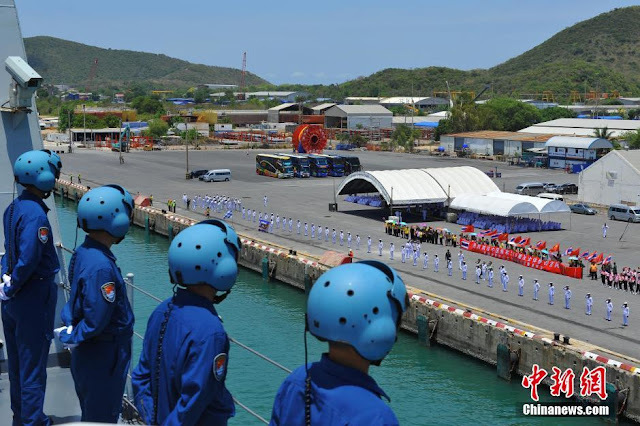 During the Blue Strike 2016 joint training exercis, the Chinese and Thai marines will hold seminars on anti-piracy, disaster relief and air defense operations. In addition, they will also conduct joint training at sea and on land on the subjects including field survival, urban counter-terrorism, armored combat tactics, antichemical warfare reconnaissance, explosive ordnance disposal (EOD) operations, battlefield first aid, helicopter fast-roping and combined arms live ammunition drill.